The term ‘legless lizard’ refers to several groups of lizards that, through evolution, have either lost their limbs or reduced them to the point of serving no locomotive purpose. These lizards are snake-like in appearance, although distinguishable through their closable eyelids and fragile, sometimes partly regenerated tails, and unlike most snakes their bodies are rather stiff. Interestingly, many elongate reptiles with reduced or absent limbs have one lung much reduced in size, or absent for reasons unknown. Around 53 lineages of lizards and snakes are known to have lost one or more bones of their limbs throughout their evolution. In 2007, scientists discovered a 95-million-year-old fossil which is the oldest known proof of lizard evolution to a legless state. This fossil (Adriosaurus microbrachis) has tiny, non-functioning front legs, but still-functioning and normal-sized hind legs and is the same approximate age as snake fossils that have similar vestigial front legs, leading to the conclusion that snakes and lizards lost their legs around the same time. The new creature is believed to be the closest relative to whatever spawned both snakes and lizards. There are six species of legless lizards that occur in Europe, the only one of these to be found in the UK is the Slow-worm Anguis fragilis. This species can be found over the majority of mainland Europe and can grow to 50cm in length. 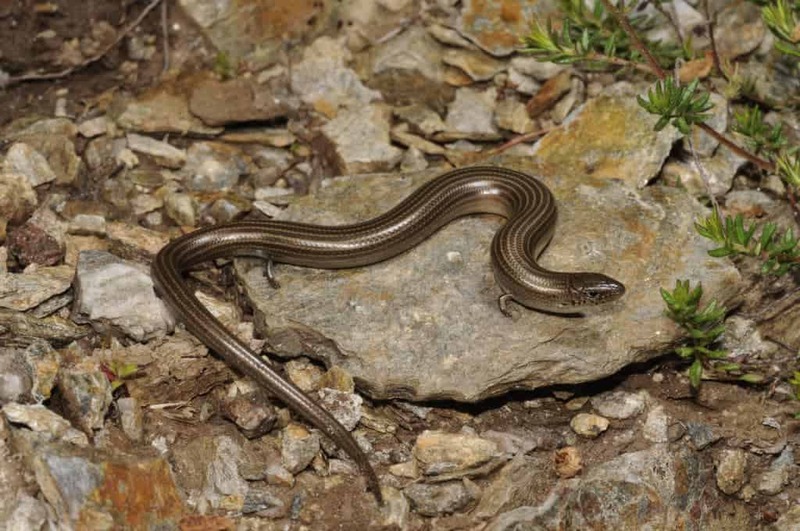 Other species of the same family (Anguidae) occurring in Europe include the Peloponnese Slow-worm Anguis cephallonica (which is very similar to the Slow-worm and occurs in southern Greece) and the European Glass Lizard Ophisaurus apodus (also called Sheltopusic or Pallas’ Glass Lizard). The European Glass Lizard is the largest legless lizard occurring in the region, growing up to 1.4m and most adults have tiny vestiges of hind legs. In common with all legless lizards, this species tail will break off when threatened; the released tail may break into pieces, leading to the myth that the lizard can shatter like glass and reassemble itself later. In reality, if the tail is lost, it grows back slowly, but is often shorter and darker. 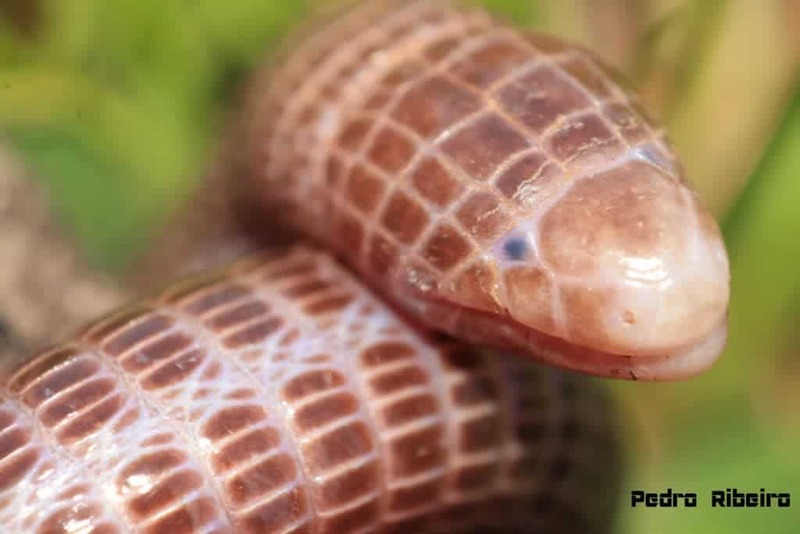 Worm Lizards (Amphisbaenidae) are a group of around 133 species across the globe that are highly specialised reptiles and (in nearly all cases) have evolved to be limbless and spend most of their life underground, only occasionally being encountered on the surface. To facilitate their subterranean existence, their skull is heavy and modified for burrowing and their skin is very loose. There are two species of Worm Lizard that occur in Europe: the Iberian Worm Lizard Blanus cinereus and the Anatolian Worm Lizard Blanus strauchi. 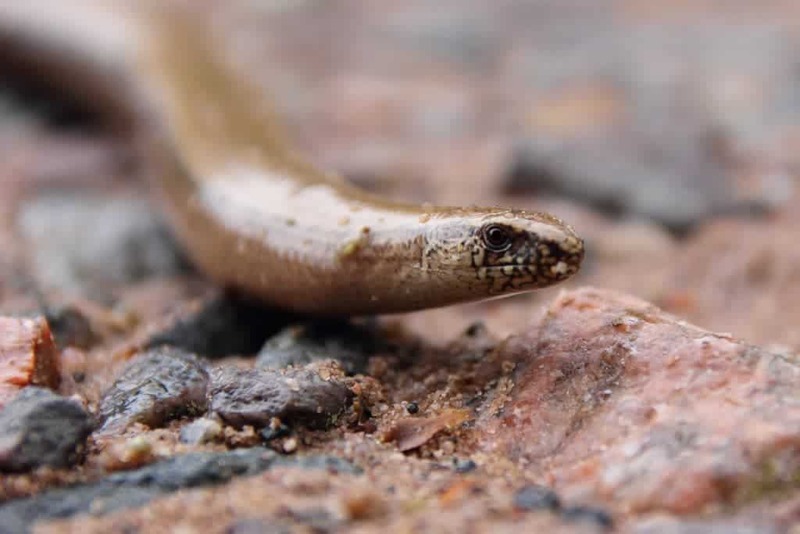 The Limbless Skink Ophiomorus punctatissimus occurs only in Greece and Turkey where it can be found in open areas of grassland, scrubland, olive groves and low vegetation with loose soil where burrows in soil and can be found hiding under stones. 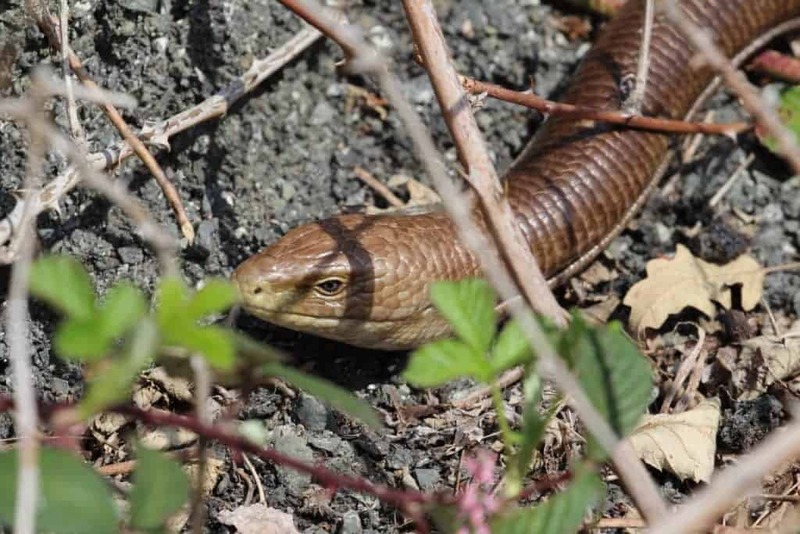 There are also two species of Skink (Western Three-toed Skink Chalcides striatus and Italian Three-toed Skink Chalcides chalcide) which are not strictly speaking legless lizards as they possess tiny three-toed much reduced limbs although superficially they appear more snake than lizard-like. A recent study in Australia found that a species of skink went from being five-fingered to legless in 3.6 million years; a blink of an eye in geological time and limb reduction through evolution has occurred many times during the history of life on Earth, in mammals, birds, amphibians and lizards. Can you explain and reference why skinks are different than legless lizard? I am just curious they seem so similar. Hi Victor…as the term implies, legless lizards are of course not snakes they are lizards that have evolved to lose their legs (although some do retain vestigial limbs). Skinks (of which there are around 1,500 described species) are also lizards, although as shown in the article some have reduced limbs, although they all still retain the key physiological characteristics of a lizard. Snakes and lizards belong to the same reptilian order but there are numerous differences (excluding the number of limbs! ): Snakes have flexible jaws, lizards hear sounds through their external ear openings whilst snakes only hear through the skull bone, lizards have two moveable eyelids and can close their eyelids, lizards have two lungs, a snake has only one lung (that works).